After a day a baking we still needed something for dinner. 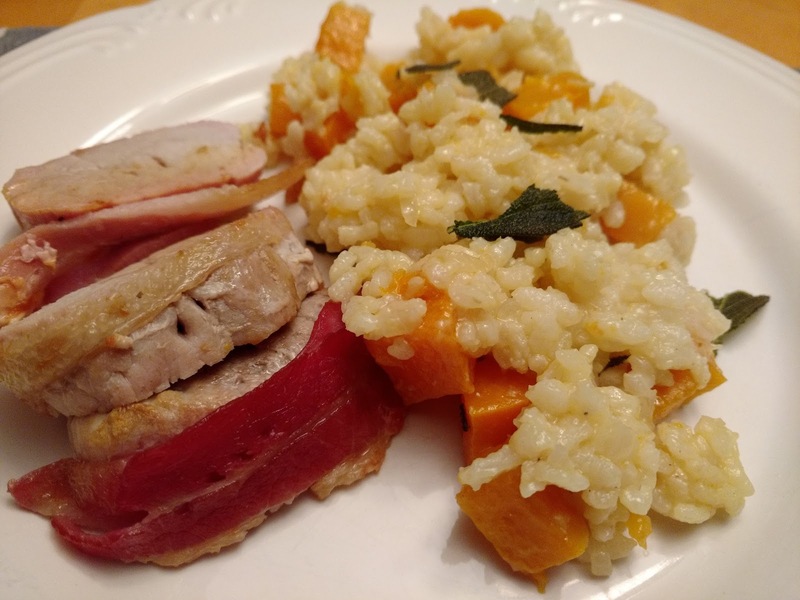 I had a small piece of Pork Tenderloin in the freezer along with some bacon. The start of a delicious dinner. 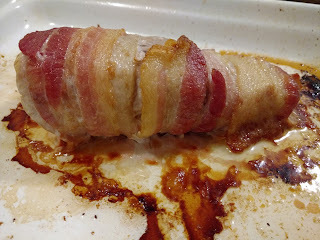 Bacon Wrapped Pork Tenderloin was so easy to make it was scary. Sear the tenderloin. Wrap it in bacon and put it in the oven. That's all there is to it. The original recipe called for a glaze. I did not do the glaze. 8 to 10 slices of streaky bacon, long enough to wrap around the pork 1½ times. Preheat oven to 180C/350F (fan forced/convection) / 200C/390F (normal oven). Lay the bacon next to each other on a cutting board, slightly overlapping. The width of the bacon should be enough to wrap the length of the pork. Heat the oil in an oven proof skillet over high heat. Sear the pork on all sides until nicely browned. Roast for 25 to 30 minutes (Note 1), basting once or twice with the pan juices, mopping up plenty of the honey pooled at the base of the pork. Remove from oven and baste again. Let it rest for 5 minutes. Baste once more just before serving. To serve, cut into thick slices. The Roasted Butternut Squash Risotto was my favorite part of dinner. The recipe is from Cookie and Kate. Another easy recipe. 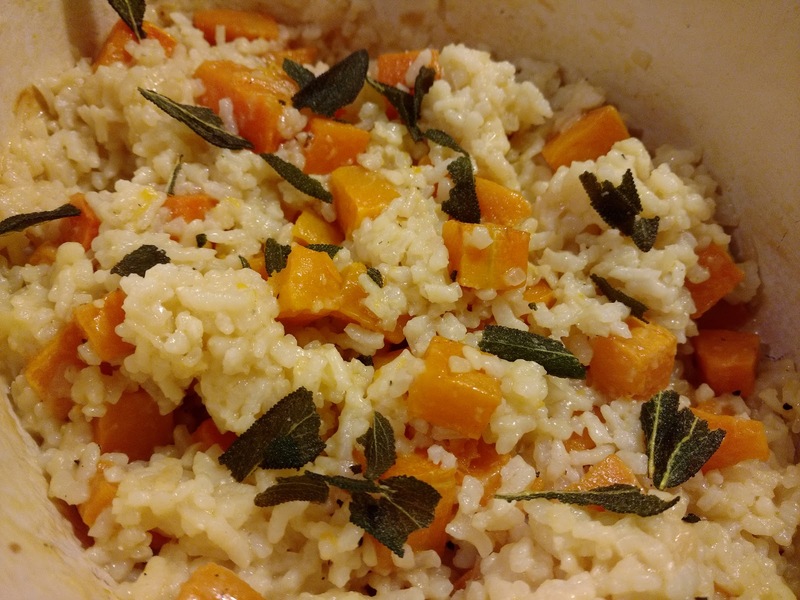 The risotto bakes in the oven. No standing over the stove with a glass of wine in your hand stirring, stirring and stirring. You would of course need a glass of wine in your hand, right? The onion is sauteed. The rice is added with the broth and into the oven it goes. The squash roasts at the same time. Perfect! Oh and the fried sage leaves are brilliant! The recipe called for Brown Aborio Rice. I had the regular Aborio and it worked out fine.